We’ll be frank ladies and frogs, next month is going to be insane. It would appear that almost every talented brain in the electronic universe is gearing up for an album or EP release in the coming weeks. Between a sea of new records to spin, and the relentless tour dates ahead (we’ll get into that later), September is looking to be the musical highlight of the year on all fronts. Today we’re featuring Villanova. 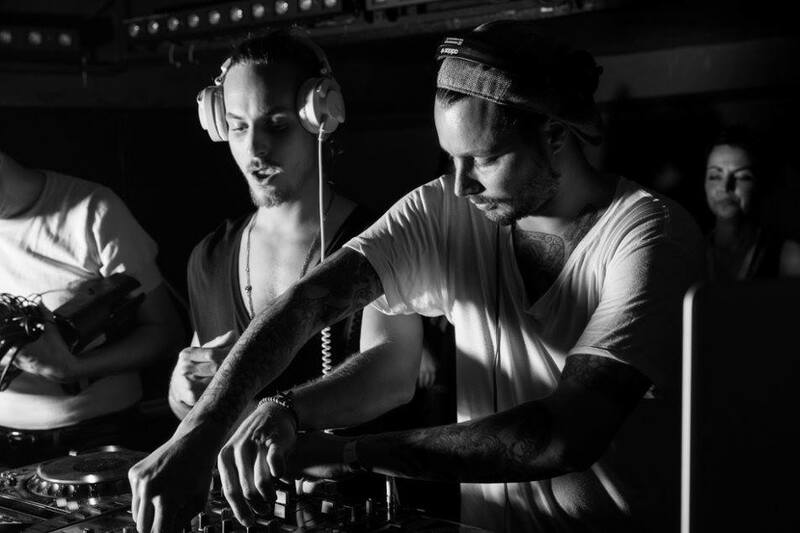 The Parisian duo have been selected to produce an exclusive track for the new Cocoon Recordings compilation, due for release on September 8th! 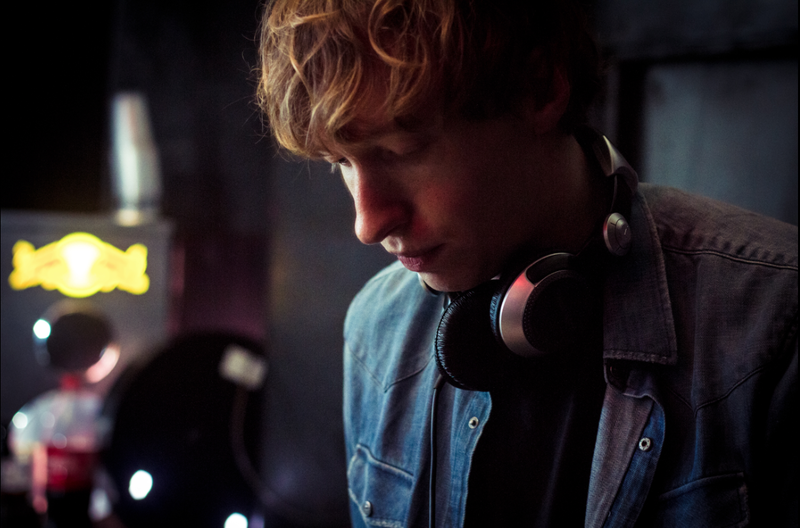 So far 2014 has treated Daniel Avery very well. 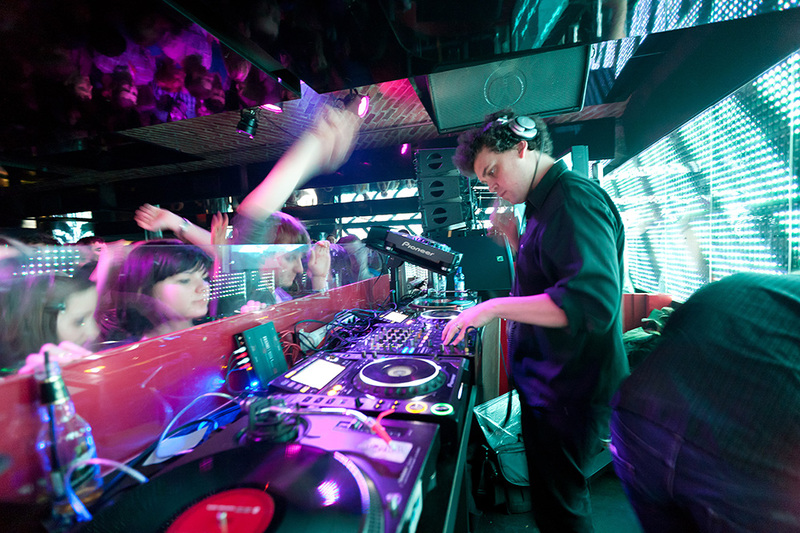 In a very short span of time he has gone from resident DJ at Fabric London, to Phantasy Sound‘s latest success story. 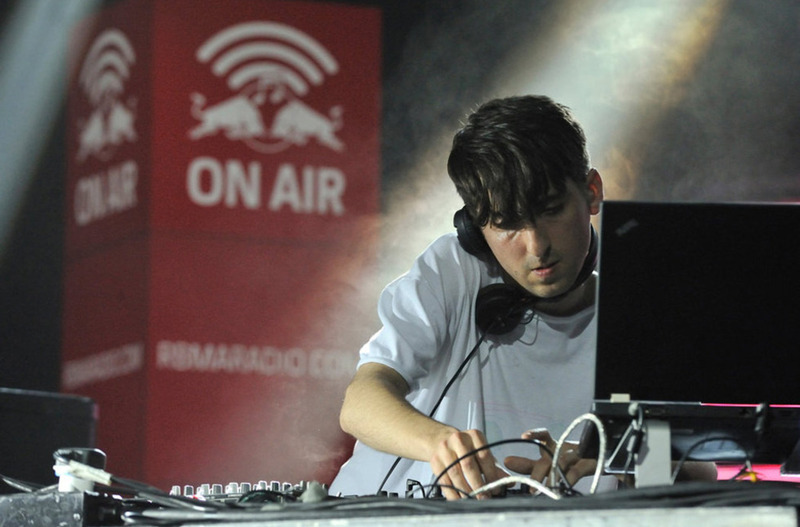 Not even a year after the release of his brain-tickling ‘Drone Logic’ LP in 2013, Avery is already playing American nightclubs alongside craft legends like Simian Mobile Disco and Bicep. By the end of this year, every corner of the Earth will have gotten a taste of his dream-like Minimal style. So let’s see, made his mark in the studio? Check. Strutting his stuff on stage? BIG Check. What else are we missing? Oh yes that’s right, the new video! Earlier this week he premiered the esoteric music video for the album track, “Knowing We’ll Be Here” on Dazed and Confused Magazine! Now you can experience his subterranean, acid-laced sounds on a visual level. This transcends your ordinary electronic music video (if such a thing even exists), however. The theme of the video is euphoria through death, specifically drowning. Joshua Lipworth, the director of the video, said he “got the idea from the euphoric distorted drones which sounded [to me] like a kind of drowning sensation”. Studies have shown that a person drowning can reach a brief state of euphoria, a byproduct of the oxygen starvation. While this subject is creepy enough as it is, Lipworth somehow managed to capture the true atmosphere of such an experience on film. Through his use of underwater filming and lighting effects, and Avery’s unique sound manipulations, the two have a formed a dark yet beautiful insight into death itself. We’re not trying to get all Emocore on you folks, we promise we’re happy people here. We can’t pass on aesthetics though. Avery has a higher agenda in his music that we may never fully understand, but it’s clear that the world is beginning to recognize his talent. These two have come together to form something everyone can relate to in their own personal way. We don’t usually care for music videos, but this is a welcomed exception. Visual and audio creativity have come together as one unit. Watch the brand new video for “Knowing We’ll Be Here” below! After two years of predominately DJ gigs in the States, Simian Mobile Disco will play as a live act again this Fall! In addition to dropping their 5th studio album ‘Whorl‘, they will perform the entire thing for US audiences. The album itself was recorded in the live format, so what better way to bring this new music into the world? After an official album-release party in London, the duo will journey across the pond for 8 live dates in America starting in Washington, DC. Expect the unexpected friends, Jas Shaw and James Ford have cooked up something fresh for this run. See if they’re playing near you in the dates posted below! Steve Bug’s ‘Pelican Glide’ Now Available For Preview! 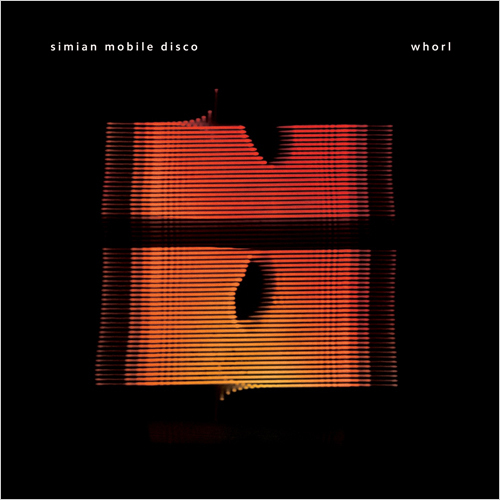 New Exclusive Track from Simian Mobile Disco! Today Simian Mobile Disco released a preview of their new track “Parson’s Nose”, you can listen to it now! The track was produced as an exclusive contribution to the upcoming 2020 Vision compilation album, titled ‘Content’, being presented by Ralph Lawson. In celebration of their 20th Anniversary, the label has called for 20 exclusive songs from artists all over the UK, and more. The album showcases new remixes from Groove Armada, Psychemagik, PBR Streetgang, and new originals from Waze & Odyssey, Eats Everything, Huxley, and so much more. Looks pretty tasty doesn’t it? Oh and if you pre-order the album now, you will instantly receive a free download of this song! It is human nature to watch chaos unfold, even if we know the outcome will be disastrous. Anytime we walk way from such discord, we are fighting a primal urge to see it run it’s course. It’s kind of like watching Hostel for the first time. Many will curse the film and dismiss it as mindless dribble, to which we can’t confirm nor deny, but we’re willing to bet you watched it through to the end on your initial view. We’re not saying that the new guestmix from Raxon is anything similar to a sadistic group of rich murderers, but that voyeuristic nature does apply. You sense the darkness filling in around you as he delves deeper into the tracks, but you can’t pull yourself away. Check out this installment that Raxon did for Noir Music, released last week. It strikes fear into the dancefloor. May is finally upon us ladies and gentlemen and that means blue skies, backyard BBQ sessions, and the first mow of the season. It also means sunny drives with your windows rolled down, and your speakers turned up as you travel to your next live music destination. Don’t listen to the act you’re going to see on the way there though, it’s bad luck! You guys will have plenty of opportunities for that, maybe too many perhaps. This month is STACKED with live dates across the Northeast, it’s absurd. We’ve provided you with a guide to some tasty events in NYC, Boston, Philadelphia, and several others, and there are always more. If your fancy doesn’t get tickled, well we might just not be a good fit for you. Safe travels friends, we’ll definitely be on the scene for several of these dates! 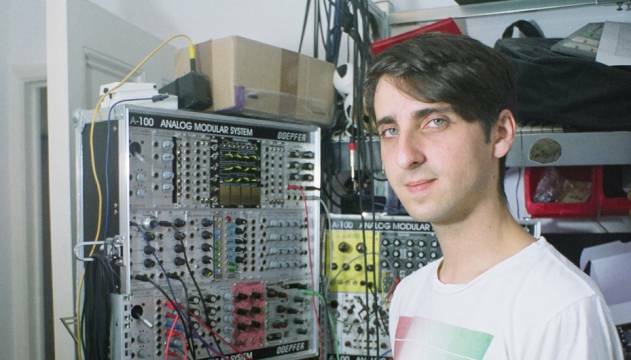 Yes, that’s right, James Holden is appearing for a special extended set at Output in Brooklyn, NY at the end of next April, courtesy of The Bunker. The acoustically arousing, Funktion-One equipped venue is a perfect fit for an artist of this caliber. Selling out basically every show he books in the US, this will probably be no different, so we advise getting tickets immediately. Did we mention this is the only show he has announced in the US? We’d also like to say it one more time in big letters, EXTENED SET. In fact, posting this article will probably aid in our staff not being able to get tickets. Holden will be joined by Bryan Kasenic, Timothy J. Fairplay & Scott Fraser, and Mike Servito. You can find the link to tickets below. 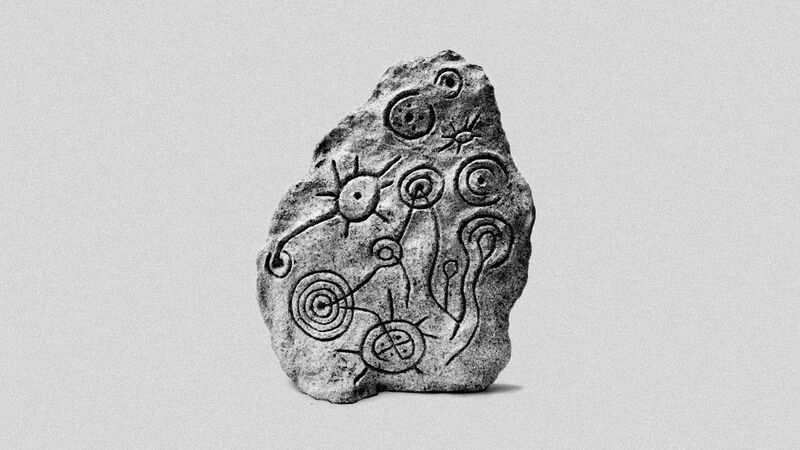 Where as James Murphy used LCD Soundsytem to celebrate music in it’s entirety, James Holden examines the chronicle of technology in music, and it’s particular attributes in different contexts. He’s really similar to Roger Waters in the sounds that he designs, and that’s probably no coincidence. 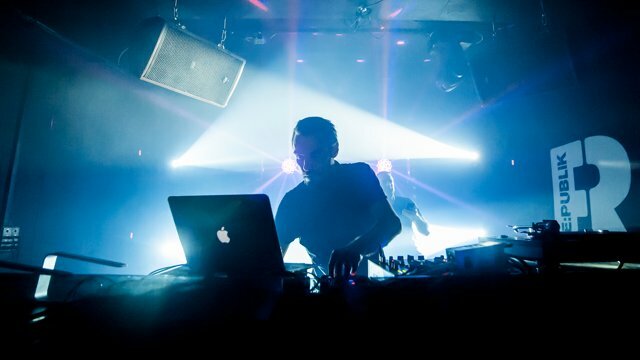 He’s been known to showcase synth-based tracks in his mixes ranging from the 60’s, to present day. His finesse with careful, expansive, psychedelic layering, is distinct to say the least. He’s also a shining example that you don’t need a heavy drum beat or bass line to make digitally produced music (that’s your Que, Pitchfork). Once acquainted, you’ll be able to identify his style anywhere. Last year saw the release of his album ‘The Inheritors’ on Border Community which sealed his canonization into both electronic albums and as a legend alike. It’s hard to truly fathom that this musician first made his mark on the charts in 1999. We could vaguely refer to him as a Minimal producer, and that would only serve the purpose of catering to human nature’s need to understand what’s being presented. I’m sure James could relate to that. The man is certainly on a different plane. If there was a subject deserving of the label “existential techno”, his music would inherently fit. This is because every sound, note, and effect, every instrument used to produce it, is being implemented for a specific reason. If you read some of his interviews, you’ll find that there is a unique method behind each of his releases.